Well, here we are moving into a New Year! I am thrilled to leave 2008 behind, but take the experiences of 2008 with me. On the eve of the New Year I always look at the good and the bad that I experienced in the previous year, feel the experience again and then decide what I take with me that will improve my life into the new year. 2008 is no exception. I had some crazy things happen – as the movie is called “The Good, The Bad and The Ugly“. Can’t we all relate to the title? We all have experiences in life, but which one’s are you going to take with you in to the new year. Make sure you take the positive experiences with you, but remember the not so positive one’s – these will keep you grounded. So, this morning I am reading Chris Brogan’s blog and thought is was great, so take a minute to visit what he has to say about going into 2009. Then take a minute to reflect. One thing I know I will take from 2008 with me into 2009 and that is the friendships I made, my clients appreciation, the knowledge and the ideas that I generated that will make such an impact on my life. Wishing you a wonderful new year! Make it count and take time to help others – even if it is just to say hi to a stranger. It is amazing the impact we all can make by just smiling and showing compassion towards one another. If you want to know the #1 benefit of working with a real estate virtual assistant is we are constantly educating ourselves with the daily changes to how the Internet and Technology works. In the 10 years of being a real estate virtual assistant I have built some very solid friendships with REALTORS across country. We chat about what is going on with the real estate markets and by having this relationship with so many I am kept informed of what is going on everywhere. So, today I am talking with my friend and client Sam Miller in Knox County, Ohio about Social Networking and how it has impacted our business. During this call we are going over some projects for the first quarter of 2009. One of the goals is to make sure his social networking sites are reviewed and updated. This lead to a conversation about Active Rain. Active Rain has over 126,000 members today and membership continues to grows. As with any program you have to stay educated on what changes/updates are being made. When viewing ActiveRain blogs have you ever noticed the “View all Real Estate listings in your area” field, which is up in the left corner of the screen, and a field for the consumer to enter their “city“. If you have never noticed this go to your blog on Active Rain then look for this field then put in your city. Notice where the link takes you – JustListed.com – all the leads from Active Rain are being passed along to HOUSEVALUES.com participating agents! Why? I have no idea, but thanks to Sam I can show you how to make sure you get the lead. 3. If you have an IDX system, follow the instructions below to set up the Listing Router Search to utilize YOUR IDX system for the cities in your MLS area. When you go into Listing Router, go down to the second item to set up….”My Markets” to route inquiries to your own IDX search for that town. You will need to add the direct link on your IDX for every town you want included, but at least the result is that those leads will come to YOU! Once that is completed, you can go back into your Settings and re-enable the search box. 4. Make sure to add your “custom link“, the very last Settings item. This will appear to the right of your name at the top of your blog. Another way to capture the leads you are generating. If you are not a member of ActiveRain, send me an email Kim@KimHughes.com and I will send you an invite. It just keeps getting better and better! If you are a member of the RealPro Systems Family and you have not upgraded your system to Gold3 – now is the time to make the change. When you make the upgrade you don’t have to worry about finding the time or have the knowledge to do this, just ask your real estate virtual assistant to assist you with implementing the new system. I love Real Pro Systems! As one of the first real estate virtual assistants to use the program with my clients I will say that there are so many success stories with this program that you will just have to call me so I can share them. Real Estate Virtual Assistants are the solution to working with the RealPro Systems Team. They are so helpful, patient, and fun to talk to. I don’t think I have ever called and an answering system picked up – I have always reached a live person. That right there is a huge benefit and the help is immediate. Because Real Estate Virtual Assistants have many clients using the program we are experienced in setting up your system quickly. Visit RealPro Systems TODAY! This is the best investment you can make for your business. OH! Tell them Kim Hughes sent you. I just read the below article in Dr. Maya Bailey’s Real Town Articles – I think it is worth sharing. Did you know that your thoughts and intentions play a big part in your success? Not only that, but what you choose to focus on determines what you’ll attract? This article describes the Law of Attraction and why it’s so important to master this Law. By learning how to implement the Law of Attraction you’ll be able to create your Ideal Income. Step 1: Get clear on what you don’t want. It sounds strange doesn’t it to focus on what you don’t want? However, that’s what most of us do all the time, unconsciously. In my 30 years of empowering people to reach their goals, I have discovered that most people are focusing on what they don’t want . So, for example, if they have a pile of bills, they’ll focus on their pile of bills and their lack of money. What do they get? More of what they are focusing on. Step 2: Get clear on what you do want. For everything that you don’t want, ask yourself, “So what do I want?” By doing that, you are sending signals to your conscious and subconscious mind to bring you more of what you do want. If money is your concern and there is a big contrast between the money you have and the money you want, put your focus on the money you want. Step 3: Create your desire statement. So after you begin focusing on what you do want, write a paragraph describing what you desire. If it’s about money, then write out a Desire statement describing you Ideal Money Situation, as if it were happening right now. For example, “I now have an abundance of prosperity. Every month there is more coming in than going out. I am happily buying what I need and I have money left over……” and so forth. Step 4: Clear your beliefs. What would block you from manifesting the prosperity that you want? When I ask my clients that question, I usually get answers like, “I don’t deserve it”. “No one in my family makes that amount of money.” “If I have that money everyone will want some of it and I’ll never know if people like me or they like my money.” “I don’t’ have what it takes to succeed at that level”. So what self-limiting beliefs do you have? What stops you from having your ideal income? What self sabotaging strategies do you use? Step 5: Allow it to come to you. In other words, suspend all doubt and just trust that you’ll be guided into inspired action. By following your hunches and keeping your focus on what you want, you become increasingly magnetic. A tip: Read your desire statement each day out loud and feel what it feels like to have it. Really allow your self to experience it so that you magnetize it to you. estate professionals ready to double and triple their incomes. 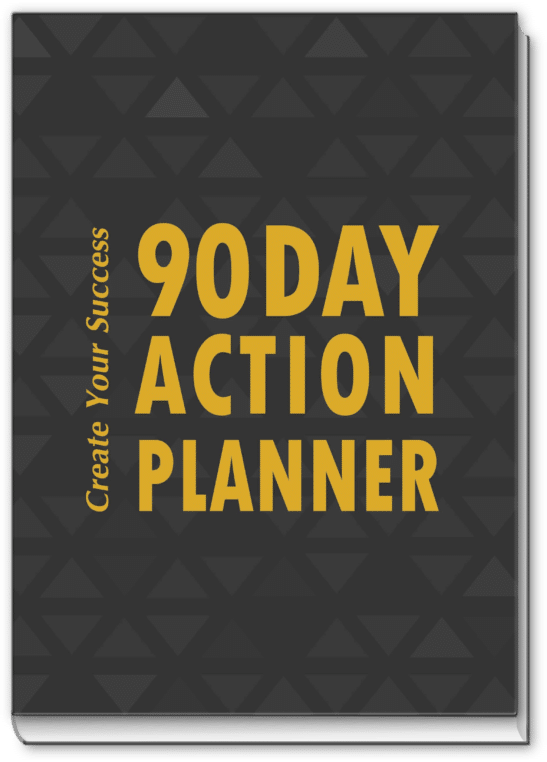 Get Dr. Maya’s free report, 7 Simple Strategies For More Clients in 90 Days, by visiting . Also, check out her new Success Program, designed to help you get focused , motivated, stay on track and create a Positive Mindset, no matter what. Most likely you are Twittering and if not then why not? It is a cool way to social network with others in your industry and to get referrals, new business or just to stay in-touch. Being a real estate virtual assistant, I have been twittering for a while now, but found it took to much of my time, so I did not focus on using it until I found two great add-on tools. If you are like me you want what works and is effective. So, try these two add-on programs to Twitter and then follow me. I will follow you back. Twitter Deck – The only add-on I have found useful in managing my time with Twitter. TweetDeck enables users to split their main feed (All Tweets) into topic or group specific columns allowing a broader overview of tweets. Make sure to set up Groups! You can set up groups for real estate agents, virtual assistants, friends, family, etc. and keep everyone organized. Twitter for Blackberry Users – Have everything set up on your Blackberry so you can manage your tweets anywhere – anytime. If you are using a different PDA and want to install Twitter, just do a Google search and you will find a program for that PDA. A Word to the wise, don’t just twitter about silly things, make your tweets and eye-catcher. The more you have to offer the more followers you will get.